Interesting topic. You make valid points about the consistency of Megadeth’s, Metallica’s, and Slayer’s discographies. Megadeth. I got Rust in Peace first. Was disappointed in Countdown to Extinction and Cryptic Writings and completely lost interest in the band. It’s only now that I’m attempting to listen to their earlier works. Slayer. Started with Seasons in the Abyss, then RIB, then the rest of their early stuff. Still haven’t heard anything beyond Seasons in the Abyss, because I’m perfectly content with the first five. Cradle of Filth. Started AND ended with Lovecraft and Witch Hearts. The Melvins and Boris are responsible for my interest in all of the styles they represent. However, I did try out Houdini a long time ago and it did not take. It took Hostile Ambient Takeover to really “get” that band. Bullhead and (A) Senile Animal solidified it before I made my way back to the mind blowing Houdini. I’m currently in the middle of slowly absorbing their entire discography. I’m loving every minute of it but I have to say that Prick would not make a Melvins fan out of anyone. To answer some of the questions posed: I read a lot of metal reviews in order to get a good description of the band’s sound as well as to discover the essential album. In most cases, that album ends up being the only one I’ll ever need from the band. But if I want to hear more I’ll usually go with the next most heralded album. I got into black metal about five years ago so with Darkthrone, I started with the first three black metal, records, then the death metal one. Then I did the next three black metal records, then I skipped forward to Dark Thrones & Black flags and Circle the wagons because I was so damn curious about the punk infused black metal description. Next up I think I’ve got Plaguewielder, and I’ll just go from there through to FOAD. That’s a fair point about “Prick.” I suppose what I meant was that because those bands switch up their sound so frequently, no one record can adequately sum up their overall approach. With the Melvins, though, since some of their releases are so intentionally obnoxious, if one happened to start off in the absolute worst spot, I could see being completely turned off for good, which would obviously be a shame. 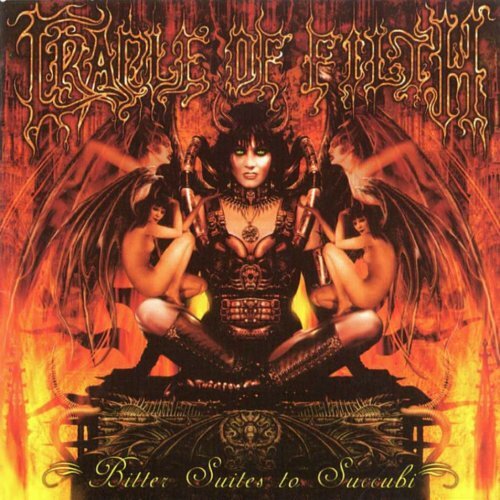 I’m unrepentant in my enjoyment of Cradle Of Filth, but of course they’re rather ridiculous. Still, before giving up on them for good, I’d put in a strong recommendation that you at least sample “Dusk… And Her Embrace.” It’s pretty far and away their best album, and very representative of a particular moment in the development of symphonic black metal. You did a good job about making the point about experimental bands. I just thought I’d be a prick about it. I’m not going to get all snobby about Cradle of Filth. They fill a niche. Really, it’s more about symphonic black metal than COF. I’m much more into the raw aspects of bm. Perhaps I’ll someday make my way back to some sbm. If so, I’ll take your recommendation under advisement. 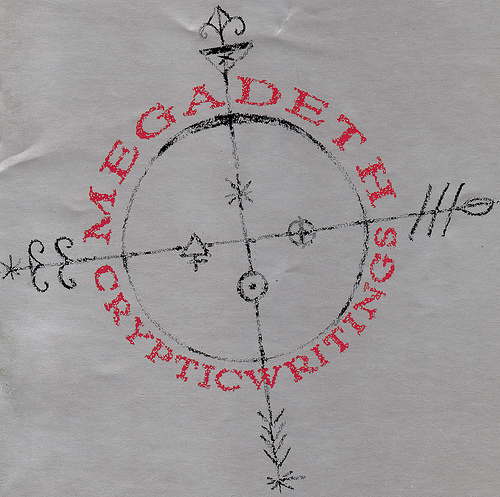 Uhhh… is it bad that I actually like Cryptic Writings? 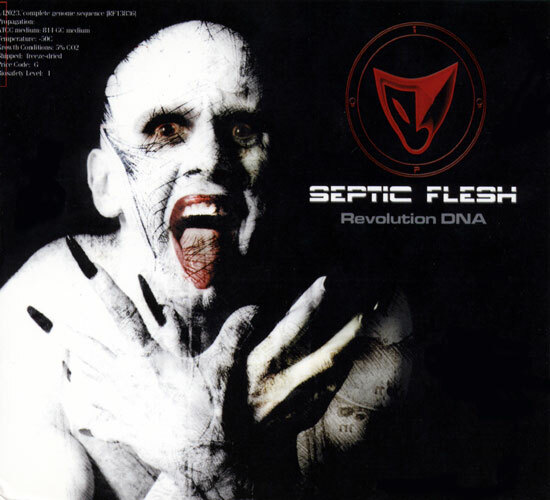 These days, my approach to diving into a band’s discography is to do some thorough research beforehand, in order to determine the consensus as far as which album(s) are considered to be the band’s best and then hunting those down first. If I like what I hear, I will work my way forwards and backwards through the rest. For bands with only 2-4 albums, there have been occasions where I purchased entire discographies in one fell swoop. @Miskatonic – The internet is a wonderful place to be a prick, and I shall not begrudge you your fun. @Josh – Well…yes? That album’s pretty terrible in my book. But yeah, as far as that research-based approach goes, that’s exactly where I’m at these days, too. I guess maybe this whole notion of entering a band’s discography in a weird place was much more relevant when I was just getting into metal, because I was exploring it on my own, and the internet wasn’t really the resource it is now. Oh, and another big one I forgot to mention: The first Iron Maiden album that I randomly bought was “The X Factor.” I actually still think it’s a pretty good album (with way too much filler), but it’s just crazy to imagine my teenaged self picking that album up without knowing anything about Bruce having left, the band being, y’know, one of the most high profile in all heavy metal history, etc.